Ronaldo just had two beautiful additions to his family, and he thought it’s necessary to get a new family picture clicked. And, the result is a cute and absolutely adorable picture which he posted online, with all his close ones. Ronaldo gathered all his near and dear ones, and had a lovely picture taken. The updated family portrait is one that deserves a place on the mantelpiece! The picture shows Ronaldo and his close ones assembled in a pool, all posing for a group shot, while Ronaldo seems to be striking a fun pose that grabs the attention. He is, after all, the centre of the picture, him being Cristiano Ronaldo. 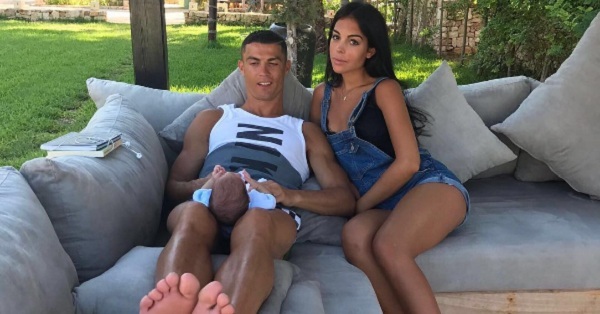 The picture includes his mother Dolores Santos, his eldest son Cristiano Ronaldo jr., and his girlfriend, Georgina Rodriguez, and of course, his newborn twin boys, among others. Georgina is holding one of the twins, while the other infant is in the arms of a woman who resembles Dolores. Ronaldo has always been noted as a family man. He has always shown particular closeness with his mother, with whom he has been through all the struggles in his life, and covered the journey from rags to riches. He is also a doting father to his eldest son, Cristiano Ronaldo jr., who is just 7 years old. 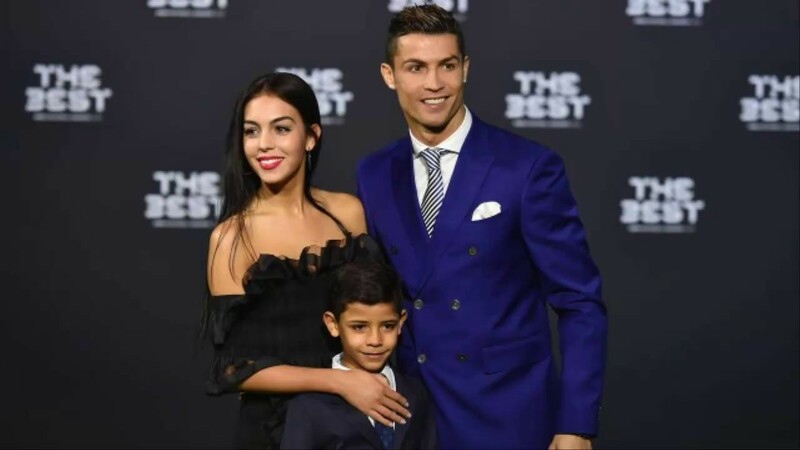 While the identity of the boy’s biological mother is not known to the world, it seems that he does not need a mother, with Ronaldo and Dolores being all the family that the boy needs in his life. Ronaldo is known for giving all the love to him that a father possibly can. 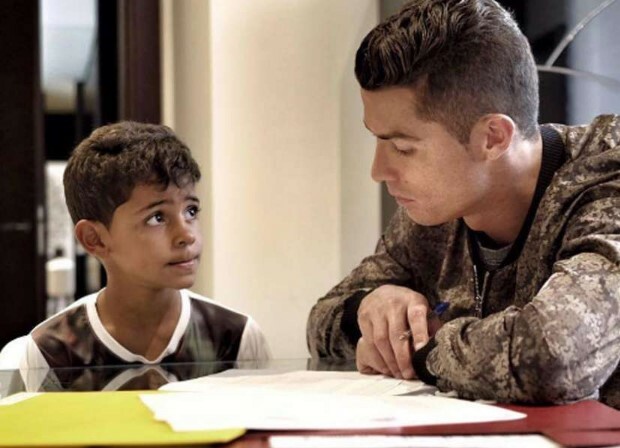 From cooking for his little boy to sitting down with him as he does his homework, Ronaldo does it all. Most recently, when Ronaldo was in Russia playing for Portugal, he had his twins. They were born to a surrogate whose identity has not been revealed. Ever since Ronaldo’s return from Russia, his twins have been dominating his social media posts, along with his stunning girlfriend. 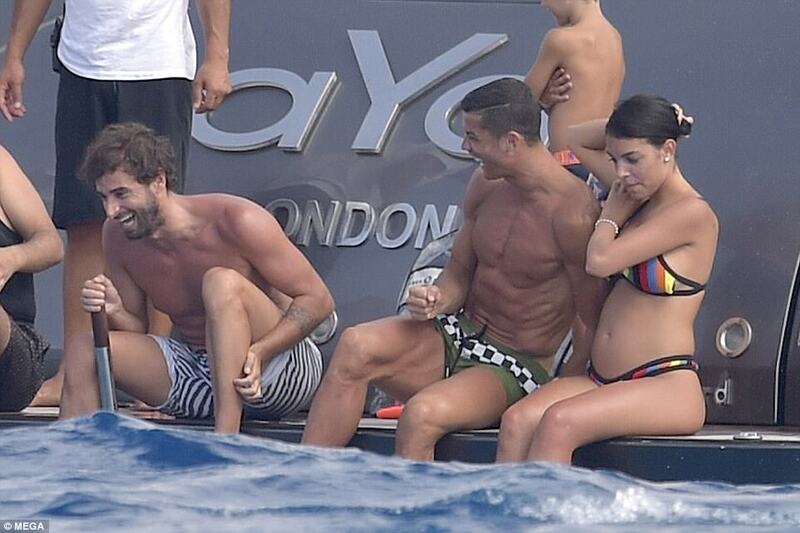 It is assumed that Georgina Rodriguez is pregnant with Ronaldo child. The holiday pictures of the couple in Ibiza show her with a slight bulge of her belly, which has been considered as a baby bump by people. She has also found a place in Ronaldo’s family picture, which makes it clear that this relationship is serious. Altogether, the family has struck a cute picture!